"I noticed that know matter how much people had - they still wanted more." 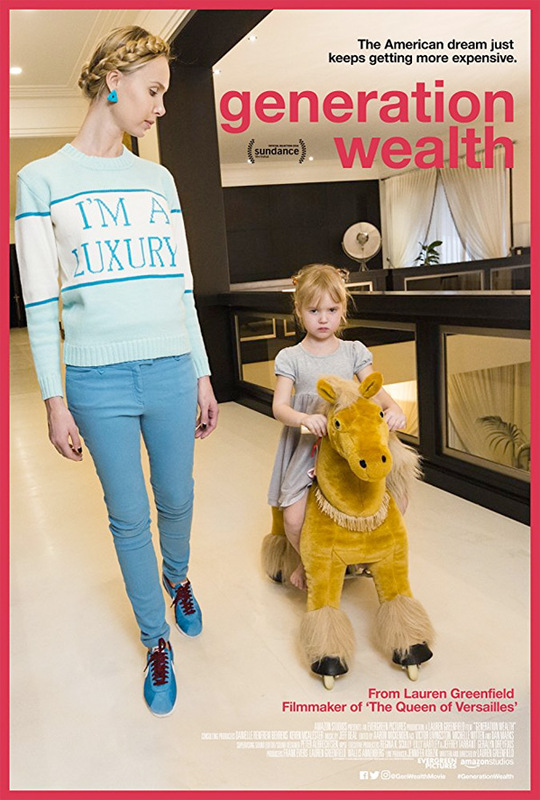 Amazon has debuted a trailer for the superb documentary Generation Wealth, from photographer / filmmaker Lauren Greenfield (also of The Queen of Versailles). This first premiered at the Sundance and Berlin Film Festivals, and it's an outstanding doc about how our obsession with money has actually gotten worse, and destroyed more lives, than anything positive. Greenfield takes a long-form look at her photography work, by examining a series of shots she took of wealthy kids in Los Angeles and following up with them today to see where they are. In addition, she profiles other wealthy (and formerly wealthy) people and asks them what it means to them. I adore this doc because it perfectly posits how greed will be America's downfall, with endlessly compelling examples of people good and bad. If you aren't actually aware just yet, maybe this film will open your eyes. For the past 25 years acclaimed photographer and filmmaker Lauren Greenfield (The Queen of Versailles, Thin, kids+money, # likeagirl) has travelled the world, documenting with ethnographic precision and an artist’s sensitivity a vast range of cultural movements and moments. Yet, after so much seeking and searching, she realized that much of her work pointed at one uniting phenomenon: wealth culture. With her new film, Generation Wealth, she puts the pieces of her life’s work together for in an incendiary investigation into the pathologies that have created the richest society the world has ever seen. Spanning consumerism, beauty, gender, body commodification, aging and more, Greenfield has created a comprehensive cautionary tale about a culture heading straight for the cliff’s edge. Generation Wealth, simultaneously a deeply personal journey, rigorous historical essay, and raucously entertaining expose, bears witness to the global boom-bust economy, the corrupted American Dream and the human costs of capitalism, narcissism and greed. Generation Wealth is directed by photographer / filmmaker Lauren Greenfield, of the doc The Queen of Versailles previously. This first premiered at the Sundance and Berlin Film Festivals earlier this year. Amazon will release the doc in select theaters starting July 20th this year.